Welcome to all of our new students! To help get you library ready for the Fall, please consider attending one of the following events to help get you Library ready for the Fall term. During Orientation Week, drop by the Library’s Digital Media Experience Lab (DME) on the 3rd floor of the Student Learning Centre (SLC) on Thursday, September 1, 10am-11am for Get Vibrant with Vive! During this event, students can try out the HTC Vive, a virtual reality headset that transforms your environment into a 3D space! The Vive headset includes motion tracked handheld controllers which allows the user to vividly manipulate objects and experience immersive gaming environments. Students can learn how to use the Vive and other digital technologies in the DME. The Vive experience will be projected onto a screen for group viewing, along with other media content to help new students learn more about the Ryerson University Library & Archives (RULA) and the resources offered at the Student Learning Centre. The Library will also have a table at the Central Orientation’s Campus Services and Involvement Fair on Thursday, September 1, 2016 from 2:30-4p.m. around the Kerr Quad. 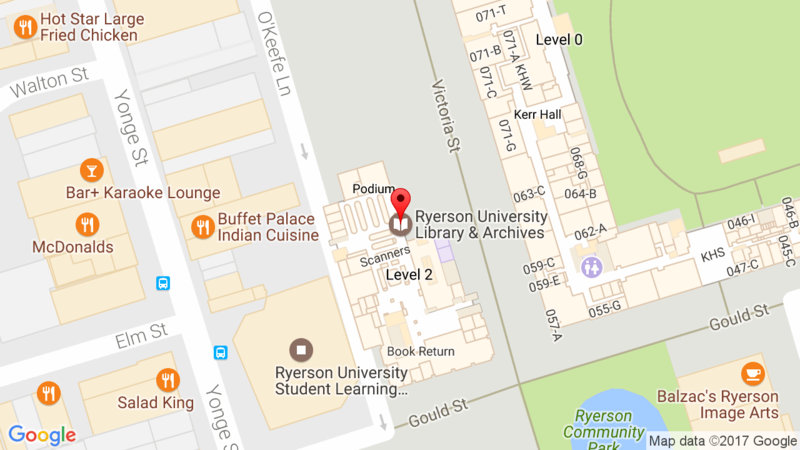 Students can drop by to talk to some of our friendly library staff about the many resources and services we offer. During the first two weeks of term, the Library will also be holding a brief introduction to Library resources and services called Library 101. Students can get essential tips on Library stuff such as computer access, printing, finding course materials, and getting help. Anyone can drop in to these as needed – offered daily at 11 a.m., Monday to Friday, from September 6 – 16.